What happened in Berlin was as expected: in the wake of the regional elections, the ruling CDU/CSU–SPD coalition has collapsed. The ruling parties suffered a serious defeat. The SPD won just 21.6 percent of the vote while the CDU won 17.6 percent and the two parties do not now have enough votes to form a government. And the balance between the winning and losing parties is such that there is no way the CDU can form a new coalition with another political party. 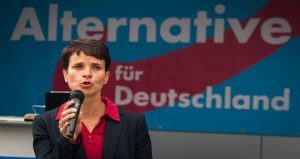 Its main opponents, Alternative for Germany (AfD) and The Left (Die Linke), received 14.2 percent and 15.6 percent of the vote respectively. Potentially, the loyal Greens (15 percent) could add the necessary votes to preserve the coalition, but there has been absolutely no discussion about creating a ‘red-black-green’ coalition. Voters definitely do not want the previous policy to continue. And if such a coalition were to emerge, then it would probably have a very shaky construction. The vast majority of political observers believe that in the current situation, the best option would be to form a trilateral ‘red-red-green’ coalition (SPD – The Left – Greens). The creation of such a coalition would inevitably bring about serious changes in both the policies of the capital’s government and the balance of political forces in the country as a whole. At present, The Left, without which a coalition is impossible, is starting to dictate its terms to the Social Democrats and this is making many uncomfortable. In an interview with a Berlin radio station, the leader of The Left in Berlin, Klaus Lederer, set out the conditions necessary for the new government to function smoothly. Lederer called for the legacy of the previous refugee policy to be gotten rid of. He criticised the proposals of the Interior Minister to ban the wearing of the hijab and abolish dual citizenship for immigrants. Lederer believes this would hinder integration. The most important thing, in his view, is not to make the same mistakes that have been made for decades: the authorities failing to understand that Germany is a country for immigrants. The Left seriously intends to promote its ideas regarding the «civilised treatment» of immigrants and this is in direct contradiction to the current political mainstream in Germany. More importantly, the leaders of The Left are hoping to get the Social Democrats on side. «The SPD would do well to break free from the Babylonian Captivity of the CDU to find new opportunities. If we can work successfully, we will extend the influence of the new coalition to the whole country», said Lederer. The most curious thing is that the SDP has no room for manoeuvre and will be forced to sign whatever coalition agreements The Left imposes on it. And it seems that the SDP will sign, since the Social Democrats have been flirting with this party for a long time. 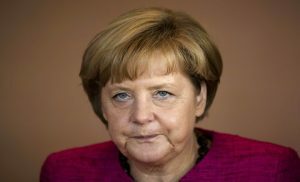 As a result of the elections, German Chancellor Angela Merkel has found herself in a rather uneviable position. Neither her delayed departure to the UN General Assembly in New York, where she was to take part in the refugee summit, nor the fact that she took back her slogan «We will cope», nor her personal appeal to voters were able to help her. The CDU suffered its fifth defeat in a row at the regional elections in Berlin. And finishing with 17.6 percent of the vote, the CDU and the SDP will be unable to form a ruling coalition. Continuing to take votes away from the Christian Democrats, meanwhile, Alternative for Germany has now won seats in ten of Germany’s 16 state parliaments. The German press is full of articles saying that «times are changing». An emotional article in Die Welt reflected the mood of many of the German people perfectly: «In the summer of 2013, 70 percent of Germans were in favour of the ‘grand coalition’. CDU leader Angela Merkel dreamed that the ‘grand coalition’ would be able to solve big problems. The chairman of the SDP, Sigmar Gabriel, praised the ‘grand coalition’, which would obviously propel the country towards new frontiers. All that has now passed. After three years of the refugee crisis, the ‘grand coalition’ is cracking. This is the worst result since Richard von Weizsäcker became the governing mayor of West Berlin. For decades, the CDU has had 40 percent of the vote here. But now the successors of the East German Socialist Unity Party will once again enter the city government. The people’s parties have lost their people. There is huge discontent among workers in factories and businesses, among the middle class, and among those in the city’s disadvantaged areas. Protests against the high-status parties are focusing on the extreme right and the extreme left. However, the German capital will not become a ‘red-black’ city». Ultimately, Angela Merkel has found herself in a completely new situation and one that will not be easy: Berlin will essentially become ‘red’. And this is a serious consideration given the forthcoming federal elections. The capital will set the tone for resolving the refugee issue on completely different grounds. The systematic resettlement of refugees and the removal of the financial burden from local budgets could turn the process in an unexpected direction. And if the new government of Berlin, in which there are no more seats for the Christian Democrats, manages to defuse tensions between the local population and the refugees, then the view of the CDU as ‘incompetent’ will be even stronger by the time of the Bundestag elections in 2017.